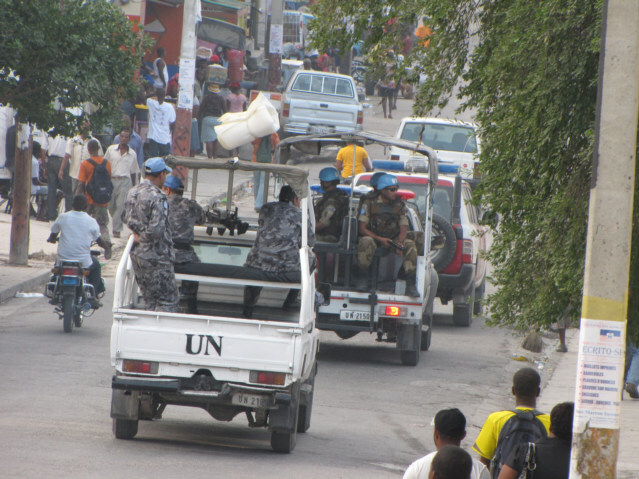 UNITED NATIONS, January 13 -- With the UN still vague about its top envoy in Haiti Hedi Annabi, in front of the UN Security Council on Wednesday morning Inner City Press asked a diplomat from China about reports of eight dead Chinese. The diplomat confirmed the figure, but also told Inner City Press that four of the eight were members of a Chinese delegation to Haiti. They were meeting with Mr. Annabi at the time of the earthquake, the diplomat said, adding "they are dead." If Chinese officials know that their diplomats meeting with Mr. Annabi have been killed, it is more than that Annabi is "missing" or unaccounted for. For the UN to be cautious before releasing death figures is one thing. But to lag so far behind its member states, particularly regarding it top leader in Haiti, is subject to question. On a media conference call by Doctors without Border / MSF on Wednesday morning, Inner City Press asked it MSF has any information about the UN headquarters in the Hotel Christopher. MSF' Paul McPhun replied that the UN has been badly damaged, MSF does not expect much help from the UN as they will have to face their internal challenges. MSF says, unprompted, that it cannot confirm how the top leadership of the UN in Haiti has been impacted. But China says it has the information. We hope it is somehow not true. 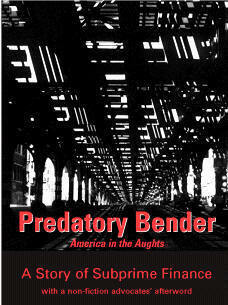 But this source is well positioned and has been impeccable in the past. Watch this site. 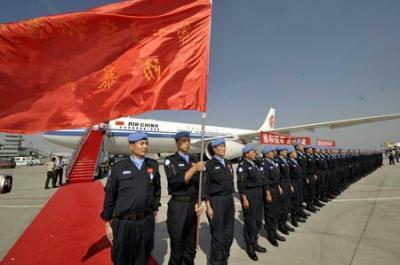 Footnotes: Some in Haiti have noted to Inner City Press that the Chinese "riot squad" unit with MINUSTAH was also active in Xinjiang Uighur Autonomous Region, to which the previous contingent flew back (see above). Also, in the UN Security Council, China in the past threatened to veto or shorten the mandate of the UN Peacekeeping Mission MINUSTAH due to Haiti recognizing Taiwan. This recognition, like many in the Caribbean, was revoked. UNITED NATIONS, January 13, updates below -- As news as UN casualties from Haiti trickles out -- four Brazilian, eight Chinese and three Jordanian peacekeepers killed, head of mission Hedi Annabi missing -- at UN Headquarters Secretary General Ban Ki-moon and his chiefs of Peacekeeping and humanitarian affairs prepared to speak to the Press. In the lobby of the nearly empty UN building, lights and microphones were set up. Journalists milled around, asking for the dates of U.S. invasions of Haiti. Mr. Ban had trailed not only U.S. President Barack Obama, but even Manhattan Borough President Scott Stringer, in responding to the earthquake Tuesday night. But now the UN was springing into action. Update of 8:49 a.m. -- after Mr. Ban spoke, saying among other things he will send Peacekeeping Deputy Edmond Mulet to Haiti "as early as Friday," a half dozen of his top officials took to the microphone. 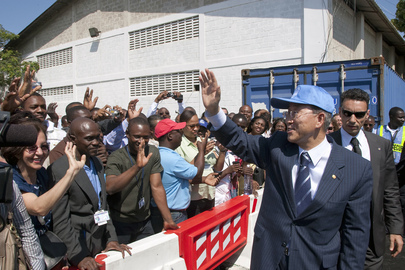 One, however, stood off to the side: Under Secretary General for Safety and Security Gregory Starr, in charge of inspecting UN facilities for safety. Inner City Press asked the group if the Hotel Christopher was MOSS compliant, the way the UN assesses buildings' safety. The question was never answered. Rather, Mr. Mulet said that other buildings also collapsed, as if that meant that the question of UN self-inspection, highlighted at least since the bombing and partial collapse of the Canal Hotel in Baghdad, didn't have to be answered. Update of 9:10 a.m. -- While UNDP says that 38 staff, both national and international, are so far unaccounted for, no numbers were given for UNICEF or the World Food Program. Inner City Press asked humanitarian chief John Holmes about these two agencies. He said the staff were all fine, or mostly all fine. Later, off camera, Edmond Mulet told Inner City Press that WFP has a warehouse, which did not collapse, and is now secured by UN Peacekeepers, presumably to prevent looting. 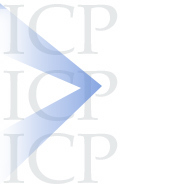 Inner City Press asked DPKO Alain Le Roy what role the UN Peacekeepers will play in keeping public order. Le Roy referred to first helping at Hotel Christopher, then securing other UN buildings, then patrolling the streets. In late 2009, UN Peacekeepers fired live ammunition when they thought a crowd was approaching a downed UN helicopter. It was explained to Inner City Press that UN Police use rubber bullets, while the Peacekeepers use live rounds. 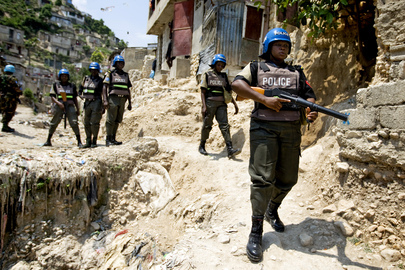 Le Roy said the UN has 3000 "Peacekeepers" on Port au Prince. Before Mulet left the UN lobby, Inner City Press asked him directly what the terms of engagement would be for UN Peacekeepers, referencing rubber bullets or live ammo. We haven't discussed that, Mulet said. And then he was gone. By the UN's schedule, there is a "debate" -- in reality, a series of speeches -- in the Security Council starting at 9:30 about "regional organizations." 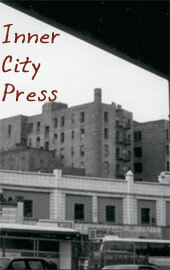 Click here for Inner City Press' story yesterday about the EU's power play. It is anticipated that the Council's stakeout microphone will be a venue for Haiti quake statements if not news Watch this space. Update of 9:32 a.m. -- in front of the Security Council, a Chinese diplomat is asked about reports on state media that eight Chinese peacekeepers have been killed in Haiti. The diplomat doesn't appear to know, saying first that they are okay, then that China has only a "small delegation" in Haiti. One reporter groans. Alain Le Roy, on his way in, declined to confirm the figure of eight Chinese dead, but says that Peacekeeper deaths may be around twenty. In the UN headquarters in Hotel Christopher, he says, were some 100 people. Still no work from Mr. Annabi or his deputy. Update of 10:26 a.m. -- on a Doctors Without Borders / MSF press conference call, Inner City Press asks for any information about the UN headquarters in the Christopher Hotel. MSF says the UN has been badly damaged, MSF does not expect much help from the UN as they will have to face their internal challenges. MSF says, unprompted, that it cannot confirm how the top leadership of the UN in Haiti has been impacted. But Inner City Press may have news on that, from a delegation. Watch this site. 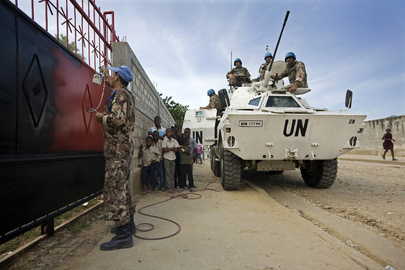 UNITED NATIONS, January 13 -- With the UN's main compound in Haiti in the former Hotel Christoper having collapsed, along with humanitarian concern, questions have arisen about the appropriateness of the facility.